A brushed aluminum lid. More than 6 hours of battery life. And enough graphics power to play demanding 3D games. The 14-inch ASUS U41Jf ($849) is a thin-and-light Notebook that combines sleek looks with solid performance. But there are some things we don’t like about this machine. Are our qualms enough to cause you to look elsewhere? 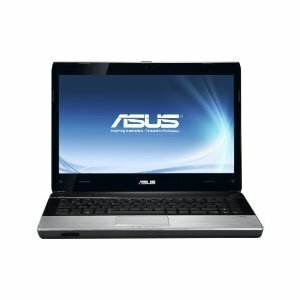 Asustek Computer may still be best known for its low-cost Netbooks, and occasional high-end reaches such as its Republic of Gamers desktop replacements, but the company churns out a fair number of middle-of-the-road systems as well. The Asus U41JF is a solidly built 14-inch notebook that will work fine for nearly any mainstream task, but at the same time is no bargain at $849. Worse, it’s easily outclassed in the design department by its 13-inch cousin, the Asus U36JC, which costs around the same, but is thinner, lighter, and more attractive, and has similar discrete graphics and a better processor.